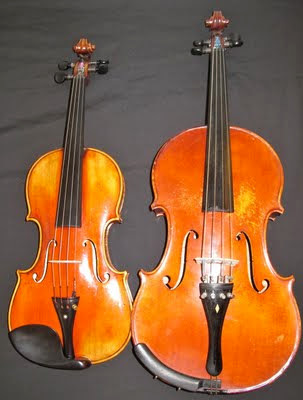 On the left a 4/4 violin. On the right an oktavgeige. Native to Ohio, Howes began classical violin at age five. At age sixteen he performed with the Columbus Symphony Orchestra. He continued in his studies and competed in various national classical violin competitions. Eventually, he started concentrating on jazz music as well as improvisation. 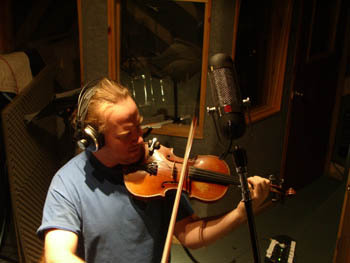 Christian Howes is a jazz violinist, producer and an educator. He performs and teaches all over the world. He graduated from Ohio State University with a degree in Philosophy (far more useful than a music degree??!!!??). Afterward, he moved to New York City where he continued playing music as a jazz violinist. He performed jazz music internationally and eventually earned a spot as an associate professor at Berklee College of Music. 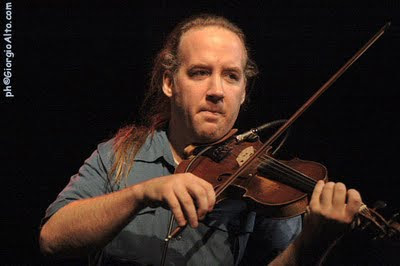 Christian Howes's workshops include the Creative Strings Workshop, started in 2003 and held annually in Columbus, Ohio. Students and adults from around the world come together to learn improvisation skills from teachers who play stringed instruments in styles of avant-garde, folk, bluegrass, latin, hip hop and jazz. He also does clinics and workshops throughout the towns he performs in. 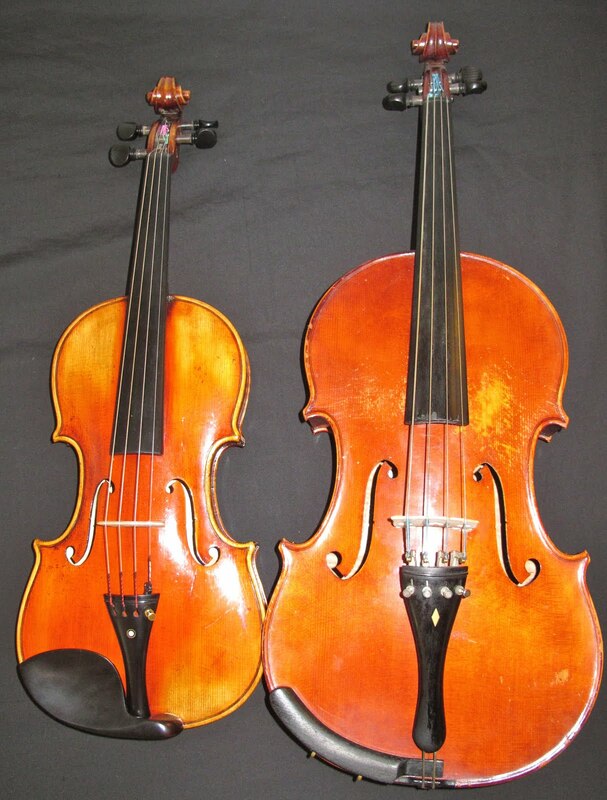 Those clinics mainly focus on non tonal and tonal improvisation, composition, alternative styles of playing, and technology for stringed instruments. He also appears at various colleges, high schools and middle schools giving performances and clinical trainings. Christian Howes also tours around the world. He has played in the U.S., Germany, Sweden, France, Denmark, the Netherlands, India and Spain. Currently, he leads the band "Christian Howes and Trio," with Josh Hill on guitar, Ryan Jewell on drums, and Brad Mello on bass. Lastly, he is creator of Christian Howes String Production, a company that records music for stringed instruments in their studio. He works with a team of musicians and helps clients compose, arrange, record or mix, depending on the client's needs. The studio musicians are Christian Howes, Christopher Marion, Yoed Nir, Charlie Van Kirk, and Dana Leong. Here is a link to works they have completed for various people and companies. We are pleased to tell you that Christian Howes is coming to our shop! He will be holding a workshop on Saturday, September 10th, 2011, from 4:30 pm to 6:30 pm. It will be held at our shop, 1850 Grand Avenue, Saint Paul, MN 55105. All are welcome to come. Please bring your violin, viola or cello. the cost will be $15, $10 for students. At 9pm the same evening (as well as the night before), Christian Howes and Trio will be performing at The Artists' Quarter in downtown Saint Paul. More information on the workshop will be posted later. Check our website or our Facebook page.